Farleton Repack ride: May 23rd - are you coming? Post subject: Farleton Repack ride: May 23rd - are you coming? My first ever mountain bike ride was at Farleton Fell in Cumbria in 1991 on a neon-pink second hand Diamond Back Topanga I bought from a friend - it was my first mountain bike. I have re-created the bike which I took on that ride, using some of the original bits. So, who fancies a bit of Cumbrian landscape? 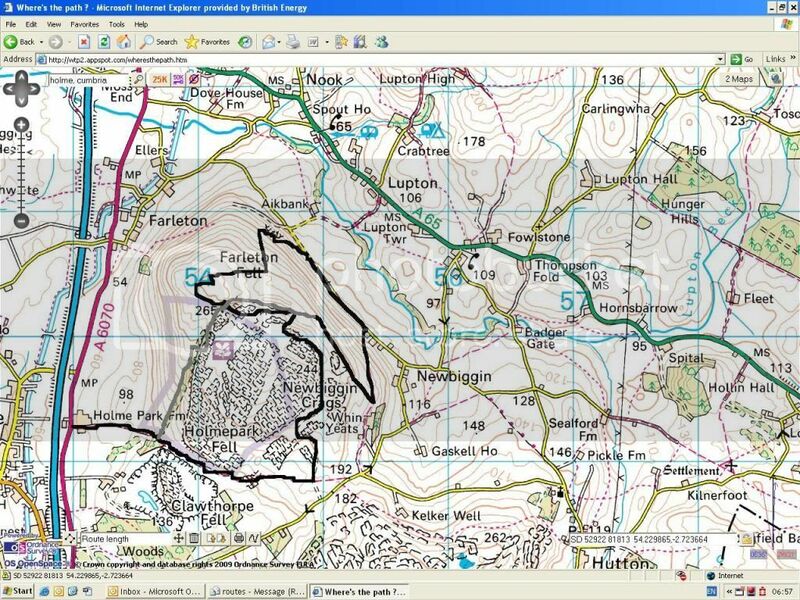 Route details to be confirmed, but will hopefully start at Holme (at the foot of Farleton Fell) and end by descending the front face. Last edited by orange71 on Wed May 05, 2010 9:24 am, edited 1 time in total. Its a stonking bit of riding up there, i'm sure you'll really enjoy it as the NWA did last year. It might be worth extending the route though to maybe Kirby Lonsdale or perhaps out to the coast and Arnside? With luck mr_ship will be about and he'll be able to show you around? Agree that there is some great riding on the fell and the surrounding area. I'm hoping to be there for this one. I may bring along my own re-acquisition of my first proper mountain bike too. Thanks for the route info Mark - pretty sure that was the first route I ever did It would be good to extend it possibly to make a day of it. I'll do some research. OK here's the extended route. Hopefully not too optimistic. Start time/location details to follow. Hope to be with you for this. What distance, and what are all those brown lines close together, no sorry, correction, VERY close togther near the end? Sounds like a cool ride-but where does the word Repack play in? I thought it was going to be about our downhill run here in Fairfax-Repack-but instead is over there in Jolly Old England? sorry - hope you haven't copyrighted it!